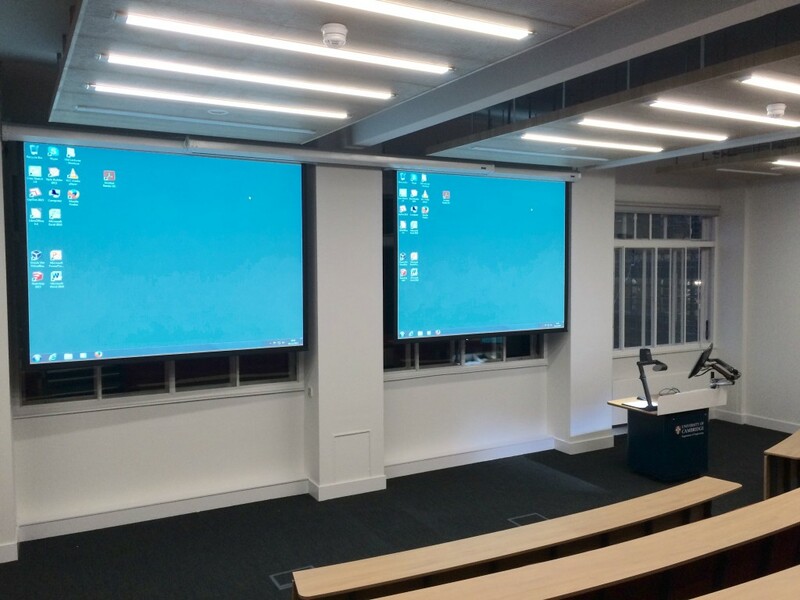 AV systems in LT6 and LT1 have both been upgraded over the Xmas break with new systems also installed in the Dyson Design Centre and Library. As per LR4 the systems were designed, built and programmed in-house by Gavin MacKenzie and Adam Strawson with network support from Paul Whitehouse. The team will now be continuing with similar upgrades in LT0 and LT2 as well as new installations in the James Dyson Building. As we move forward with these large workloads, your continued patience with daily AV support needs is appreciated. LT1 has the same capabilities except it has no visualizer. OHPs are still present in LT1. The OHPs previously present in LT6 have been relocated to LR10 and LR11 as per a decision by the teaching office in Michaelmas term. LT6 is therefore classified as ‘Visualizer Only’. Please be aware of this when choosing a teaching room since there are no spare OHPs available for temporary installation. For those that haven’t used a visualizer before, it is simply a digital OHP that used the data projector instead of its own lens/bulb. All of your acetate teaching materials will still work with the visualizer. You can write on a piece of paper and it will show on the screen. 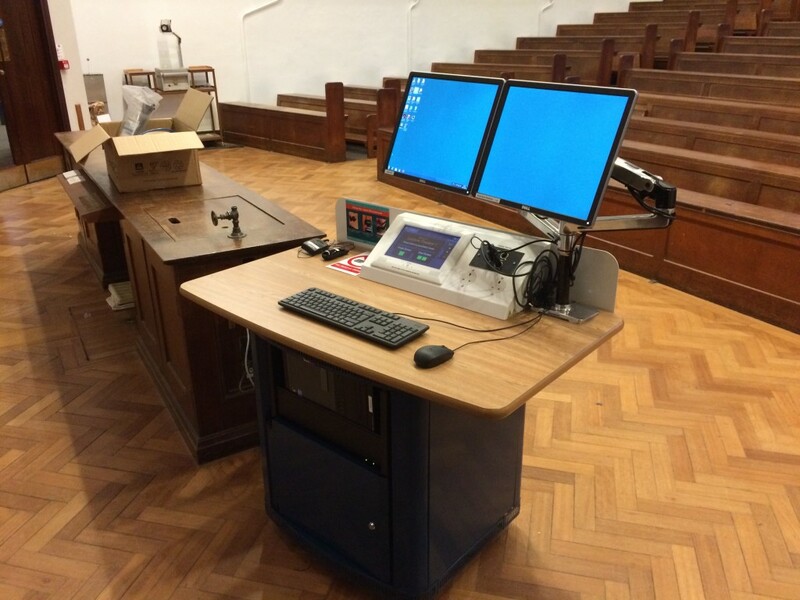 The two lectern monitors combined with Windows extended desktop allow a few new features. For instance, you could use one desktop as a ‘staging’ area for your materials and one as the ‘live’ desktop projected to the audience. You can display two different documents side by side- one on each screen. You are also now able to use PowerPoint’s ‘Presenter View’ at the lectern. This freezes the image on each screen into a still image- useful for when you wish to leave visualizer (OHP) notes up on one screen whilst moving on to the next section on another. For any further questions on the technical aspects of the system, or to provide constructive feedback, please contact av-support@eng.cam.ac.uk. For queries on room allocation, please contact the Teaching Office.